Cancellations made under 2 weeks prior to arrival date: no refund given. 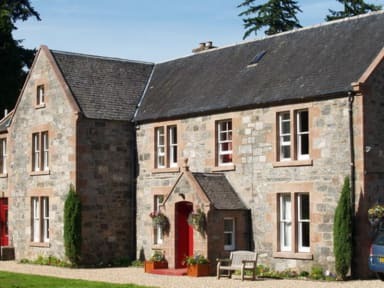 Nestled between mountains and lochs in the heart of the Great Glen, 20 miles north of Fort William and 10 miles south of Loch Ness, the Great Glen Hostel is welcoming and comfortable place to stay when you're touring the Highlands. Both Urquhart and Eilean Donan castles are within an hour's drive and are easy day trips from here. Or take a ride on the mountain gondola at Aonach Mor (20 minutes drive) for spectacular views of Lochaber. It is a great base for outdoor enthusiasts too: hillwalkers are spoilt for choice with 59 Munros in a 20 mile radius of the hostel, and paddlers can enjoy the rivers Spean, Garry, Roy and Moriston, all within easy reach. Watersports enthusiasts can paddle or sail on Loch Lochy and Loch Oich - boats and canoes can be hired locally. The Great Glen Way, a bike and hike route between Fort William and Inverness, is just a few minutes walk away. If you are looking for an adrenalin rush we can organise white water rafting trips, canyoning, quad biking, abseiling and more for you. We also offer tailor-made outdoor activity/team-building packages for groups - please contact us for more details. Great stay in this lovely hostel. Excellently placed on the Great Glen Way route. Very clean & friendly. Lots of space in the communal areas, huge kitchen with lots of cooking facilities, 2 lounges & a huge dinning room. Child friendly (I stayed with me 11 + 10 year olds. Beds very comfy & a nice quiet hostel. We’d definitely stay here again. Excellent location. Not a problem to walk the 300 metres back up the main road, as I read in a former comment. Shop has basics. Usually I don't do reviews, but I had the best time ever at this lovely hostel! Perfect for hiking (great glen way, or just hiking up a mountain for example), it felt really cozy and finally there's a big kitchen with space for everyone. (Bring your own knife/spices tho, apart from that it's well equipped!) The guy at the reception was really kind and helpful. I had a fantastic time there, thank you so much! Easy to find, great facilities, friendly staff, comfy clean bed and the place was well heated for the winter. Plus, I had the place to myself which was quite nice. Would definitely stay here again. I stayed there when the hostel was nearly empty, but with that in mind, I can say it has an excellent kitchen, friendly people and a bloody good pub-boat (in summer) a mile down the canal. What more could one ask? A brilliant hostel with everything you need to be relaxed and comfortable. 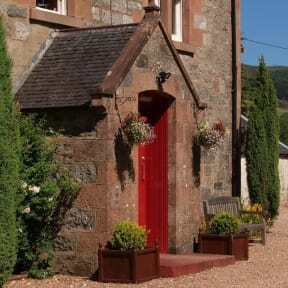 Good beds, plenty of cooking facilities, a lived in feel so you were at ease and the friendliest, most helpful staff. It is right beside the A82, so there is a fair amount of traffic noise in the front facing dorms. If you are walking in from Laggan along the Great Glen Way, just keep going! There is a sign post on the path when you need to turn off. Online maps have the hostel in the wrong place!! We booked the family room. Staff/room was ready for us when we arrived. Kitchen had plenty of space and utensils for cooking. The laundry area was a welcome plus. During our visit (early in the season), the facilities were booked to half of their maximum. If at full capacity, I could imagine it being too loud and busy for my taste - this is my perspective as a older, seasoned hiker. Very nice, fairly basic hostel. Great kitchen facilities and common room with lots of cooking equipment. Very nice host and everything was spotlessly clean. Bathroom is fine, albeit a bit dated. The short walk along the main road to get to the hostel from the canal path is a bit enjoying and not very safe because there's no pavement.